When I was younger, I remember wanting to do everything my older brother was doing. He was riding a bike, and so I was motivated to learn how to ride a bike, too. After skipping the training wheels stage completely, I soon found myself alongside my brother building ramps with scraps of wood and cinderblocks, catching air, and popping wheelies out of huge potholes on our long dirt driveway. My first experience racing bikes was racing my brother down our country dirt road on my huffy bike to see who could reach this particular bridge first. I can't say I ever won, but I loved the challenge and the feel of skidding across that dirt bridge, giving each other high fives, and laughing together. 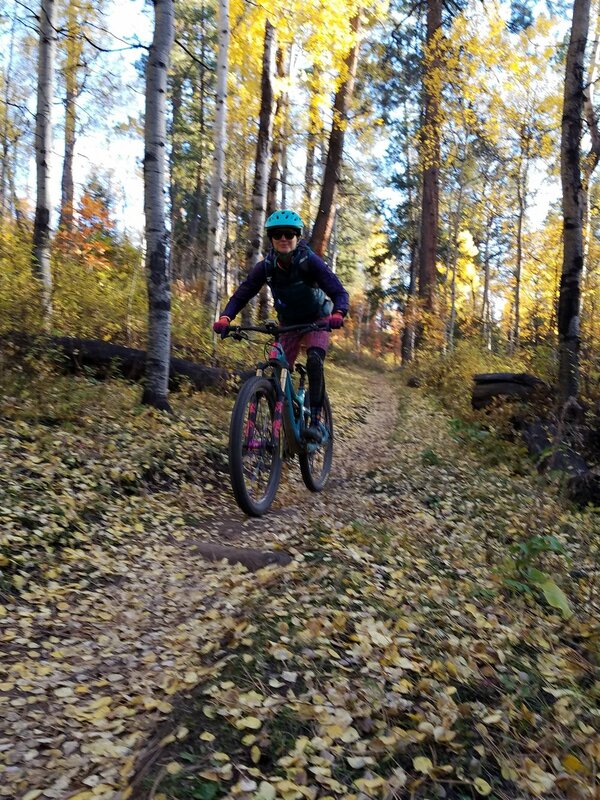 While biking has always been a part of my life, it wasn't until recently that I tapped back into mountain biking after a decade long break. The past few years have been some of the toughest years of my life, experiencing some of life's deepest hardships. I needed my life back and to find myself again. 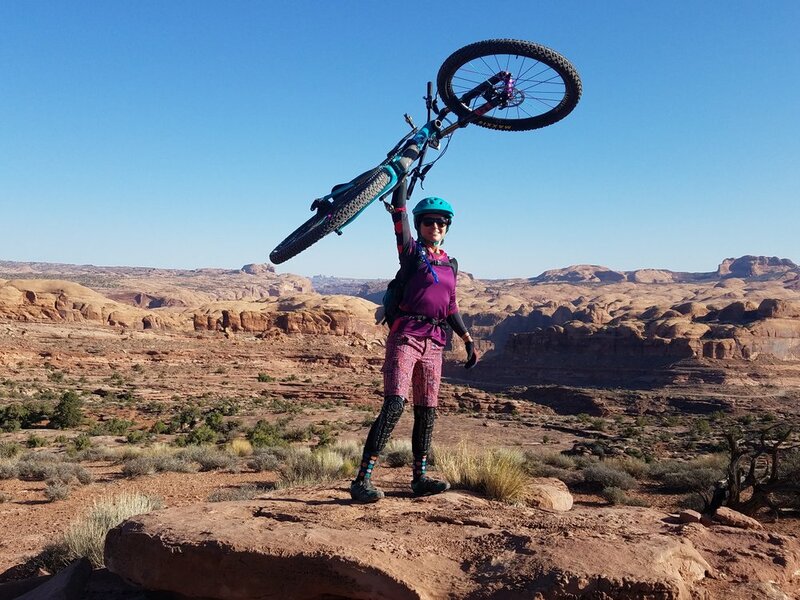 My “rebirth” into the mountain biking world came full circle back to my roots, occurring in a special place near and dear to my heart, Moab, Utah. I grew up nearby amongst the sandstone canyons of northern Arizona on the Navajo reservation, and out in the countryside of Oklahoma on a farm. 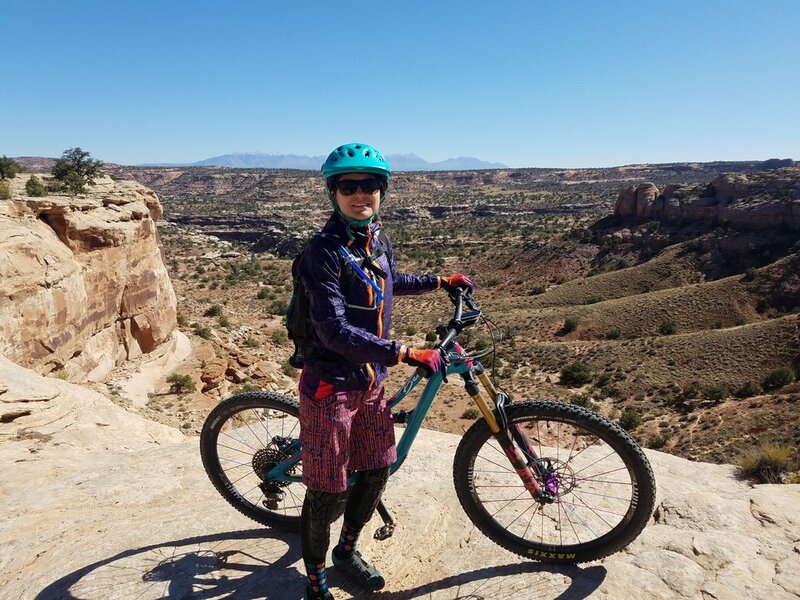 So when my friends invited me to bike Moab with them in the spring of 2017, I was all in, except one minor issue, I did not have a mountain bike. So a week before the trip I added a full suspension mountain bike to my growing collection of bikes comprising of a road, TT, cyclocross, and commuter bike. Several bruises later and all smiles, my passion for mountain biking was re-ignited and here to stay! Feeling rusty after a decade, I signed up for a VIDA MTB Series clinic to brush up on some skills and what I got in return was a lot more! I found a community of lady shredders so full of love, inspiration and strength, on and off the trail that I could call family. Having experienced what VIDA is all about drives me to build this community even more, and bring others into this awesome, supportive community. I believe anyone can ride bikes, regardless of their background, age, or skill level. Personally, I can say that gaining more skills gives me more confidence on the bike, and with more confidence comes a lot more FUN! “Home” can mean many different things to different people. For me, mountain biking and being in the outdoors feels like home—a sense of comfort, somewhere where I can be my real self without judgment, a place I can let go of things to create space for newness and growth, somewhere to hear the quietness and my thoughts to reflect and find healing, somewhere I can connect and reconnect with self, with others, and the world around me. This is why mountain biking is special to me and will be for a lifetime. I oftentimes explain to people that riding is a feeling, a way to feel, whatever it is you’re feeling, and a way to process life. This is my story of what “VIDA mtb” means to me personally. Well, and the fact that we both share a love for the color purple – so much so that I blinged out my i9 wheelset with purple hubs and spokes! When my aunt was diagnosed with cancer last year, I got purple hubs and told her that she was my purple hubs. She was the one that taught me how to ride a bike, a gift of a lifetime that will continue to give. Hubs are the central part of a bike’s wheels, connecting to the wheel’s rim via the spokes, enabling the wheels to freely spin. We have those in our lives, the hubs, both past and present that are solid supports and central in our lives, grounding us and contributing to our lives as the many spokes that are connected to us, the wheels. She along with many others are alive in my heart and will always support, provide strength and encouragement on my journey as I pedal through life, allowing me to freely spin, to freely be me, to grow, and to live! 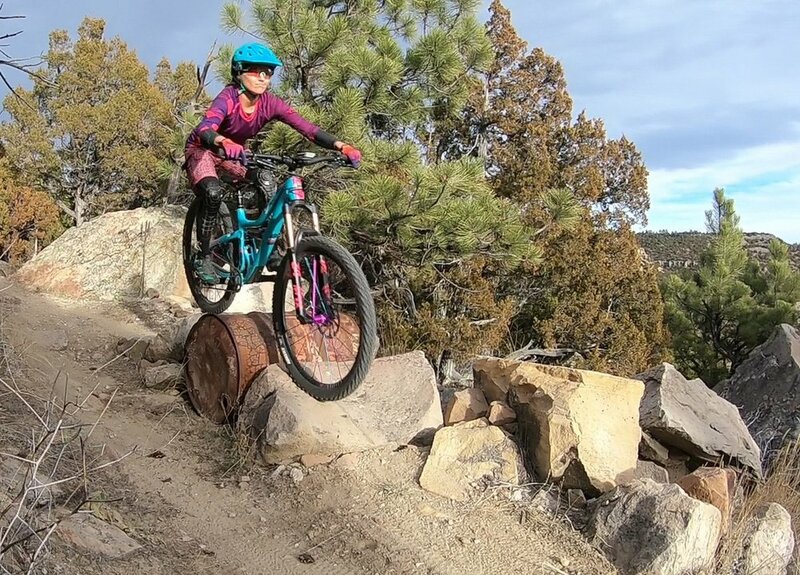 So if you hear the purple hubs buzzing down the trail – that’s me! So, feel free to reach out to me biking or not biking related! Although, I live in Fort Collins, I am known to take spontaneous trips wherever the next adventure is calling. When I’m not on the trails mountain biking, you can find me in the middle of a river fly fishing, rock climbing, drawing or painting in my art studio, doing woodwork in my garage, solving meaningful public health problems, strength training, swimming, trail running, camping, hiking, playing in the snow, being a festivarian someplace, playing my acoustic guitar, and pretty much scouting new places and scheming new adventures.